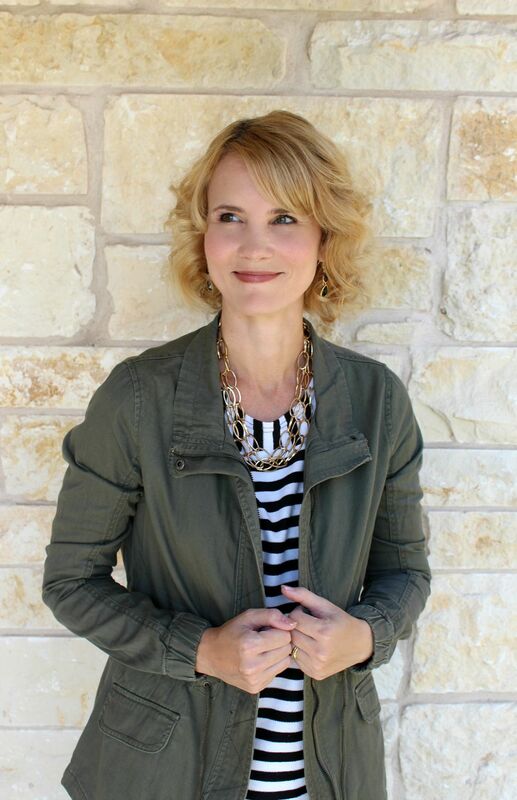 I am definitely getting ready for fall with its changing leaves, pumpkin lattes and fall fashion pieces like this olive jacket outfit. When I was browsing through the Conversation Pieces website to choose my August pick, I instantly knew when my eyes landed on the Helluva Punch Utility Jacket that this was the piece I wanted to add to my fall wardrobe. 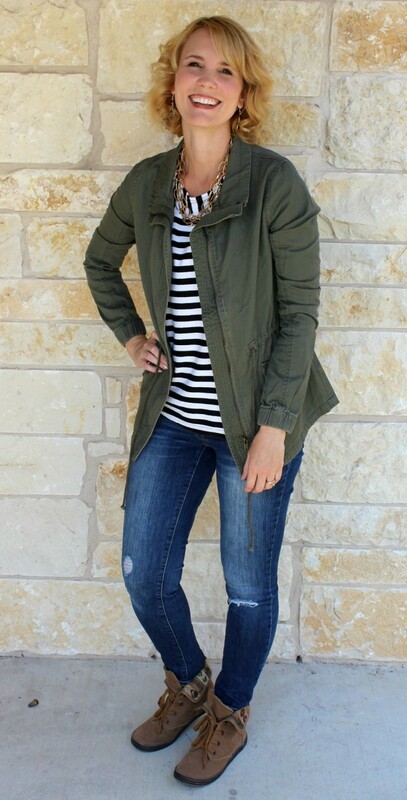 I chose to style the jacket in a very classic fall look: stripes + denim + boots + jacket. 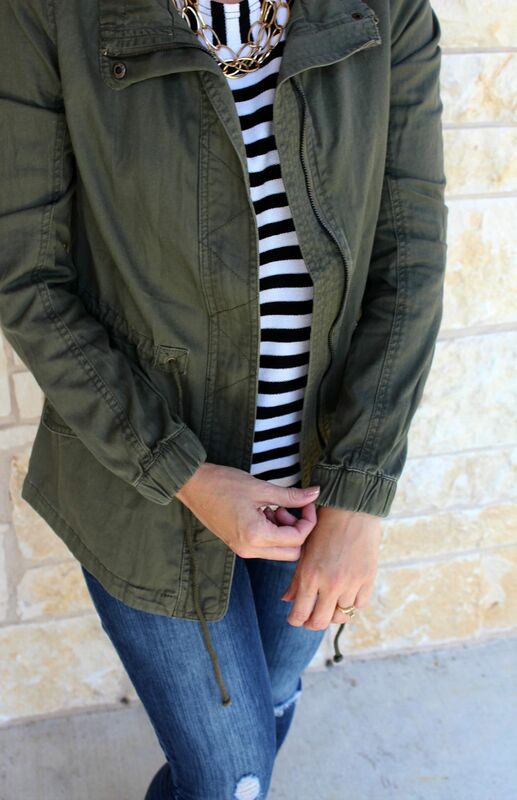 The jacket has an obvious military vibe to it, but delivers a feminine feel with its waist tie and piping. And the fit? It’s perfect. I ordered small and love the way it fits me. What else can you wear with this jacket? How about Birkenstocks? The jacket is very well priced for the quality. You can pick one up for yourself and get started on that fall wardrobe. 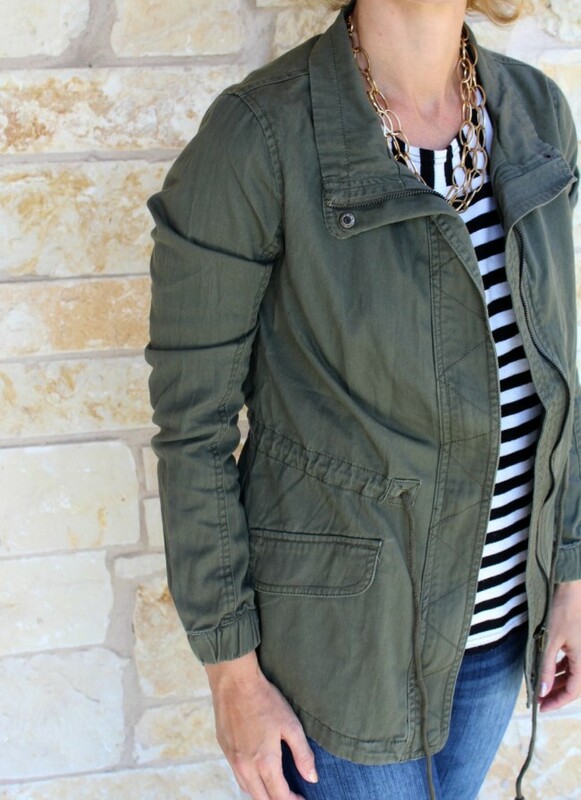 LOVE this, I have a similar one from Conversation Pieces a few years ago, still my favorite go to fall jacket!!! It’s so great! It’ll definitely get lots of use this fall.